In-Home Privates are the perfect solution for clients who are too busy to get to the studio and want the luxury and convenience of having a trainer come to their home. Clients recovering from injuries, workaholics, and postnatal moms who can't leave their baby just yet are all great examples of whom can benefit from In-Home Private training. 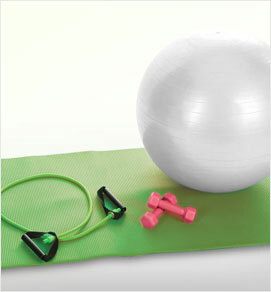 Don't have Pilates equipment? No problem. We will bring a variety of props such as the Magic Circle, Thera-Bands, weights and balls to create a fun and challenging workout. In-Home Private training is designed to work on your core, improve posture, and stretch and strengthen muscles without adding bulk. We will leave you feeling stronger, centered, and energized! Apparatus sessions are one of the best ways to learn Pilates because there is so much individualized attention. This 55 minute session will take you through a systematic routine of exercises utilizing all of the classical Pilates apparatus- Reformer, Cadillac or Tower, Wunda Chair or High Chair, Barrels, Mat, Magic Circle, etc. The apparatus of Pilates is based on spring resistance which will give you streamlined muscle tone, a stronger core, better flexibility, improved posture and a whole new body! There is so much variety within the classical method that you can practice Pilates for years and never get bored or plateau. In addition to being a great way to workout, Pilates is beneficial for injury rehabilitation, pre and postnatal fitness, and getting rid of lower back, hip and neck pain.